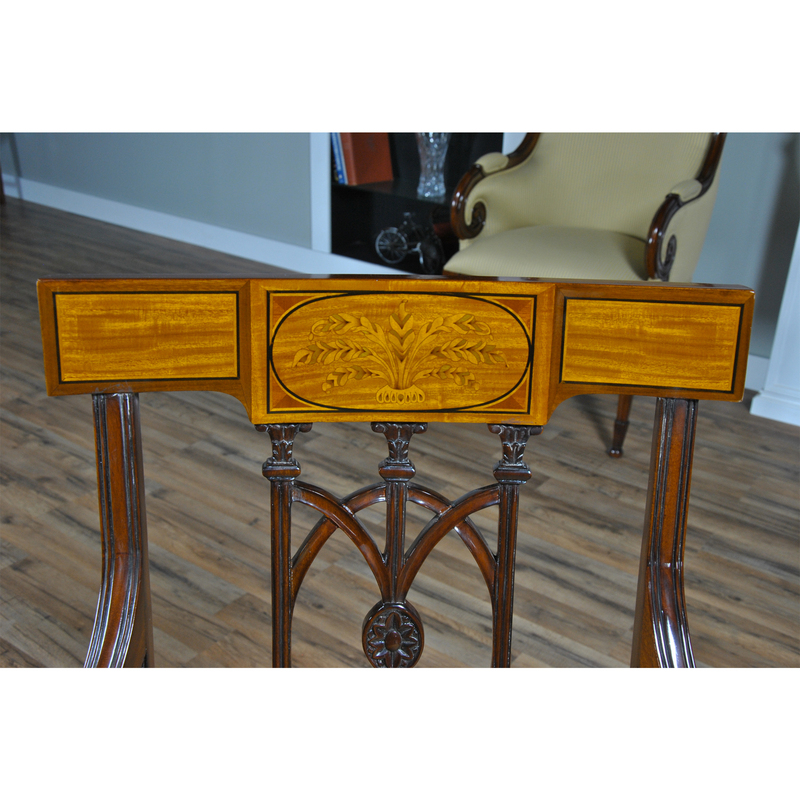 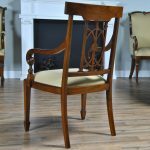 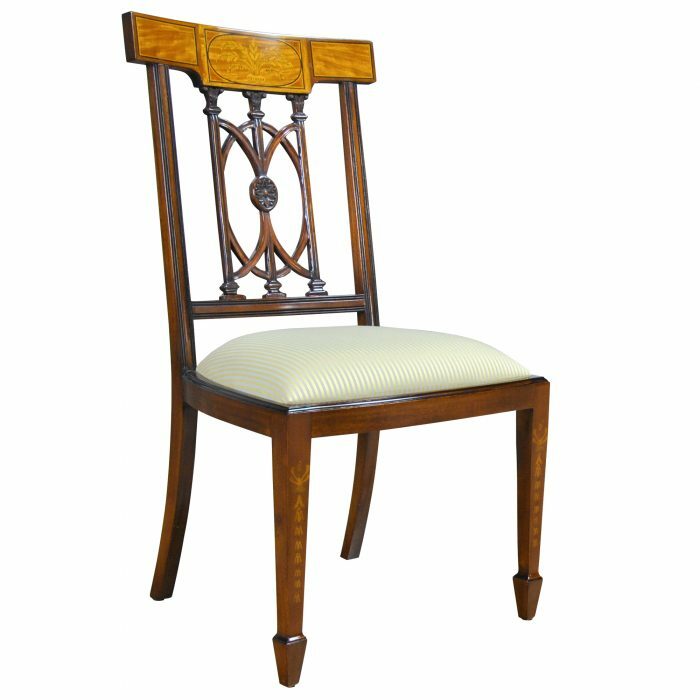 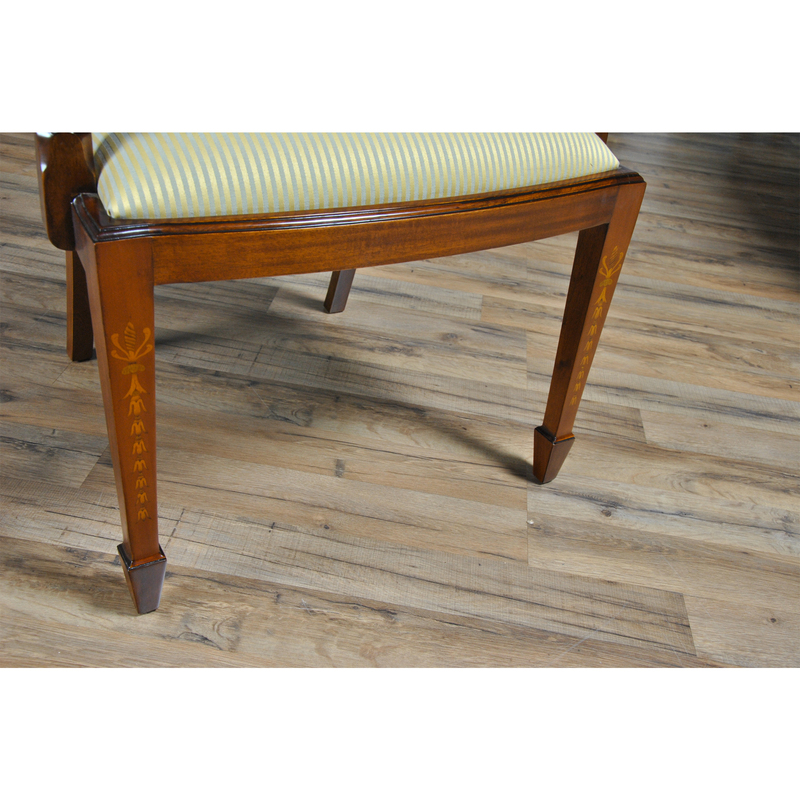 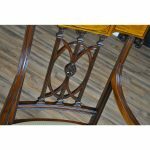 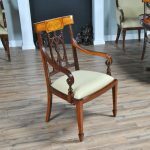 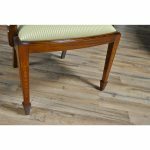 The NiagaraFurniture Inlaid Hepplewhite Arm Chair is decorated with hand inlaid panels across the crest rail, bellflower inlays along the front legs making this dining chair an exercise in pure elegance. 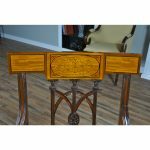 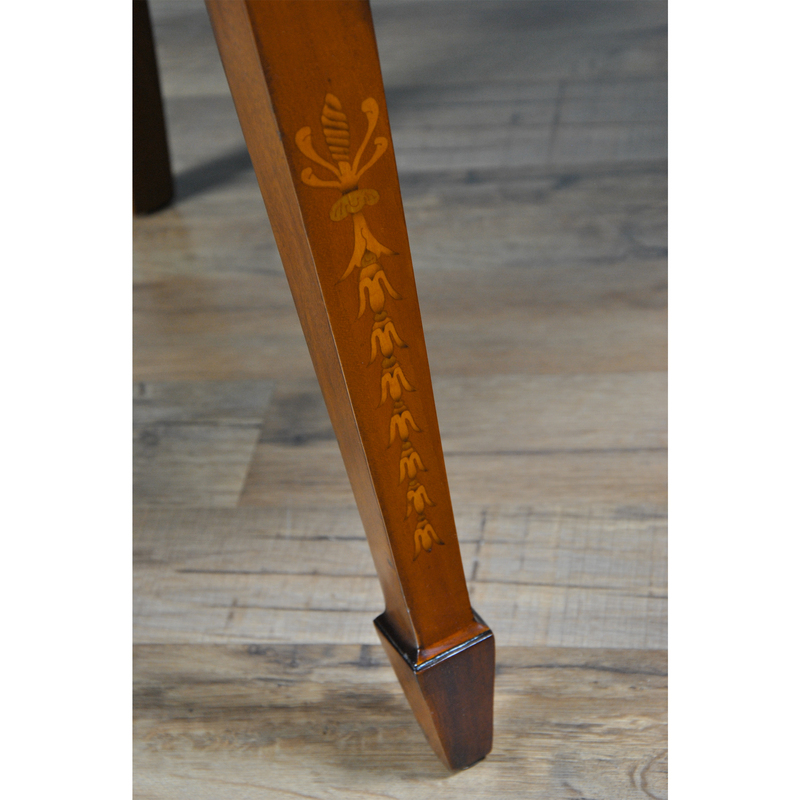 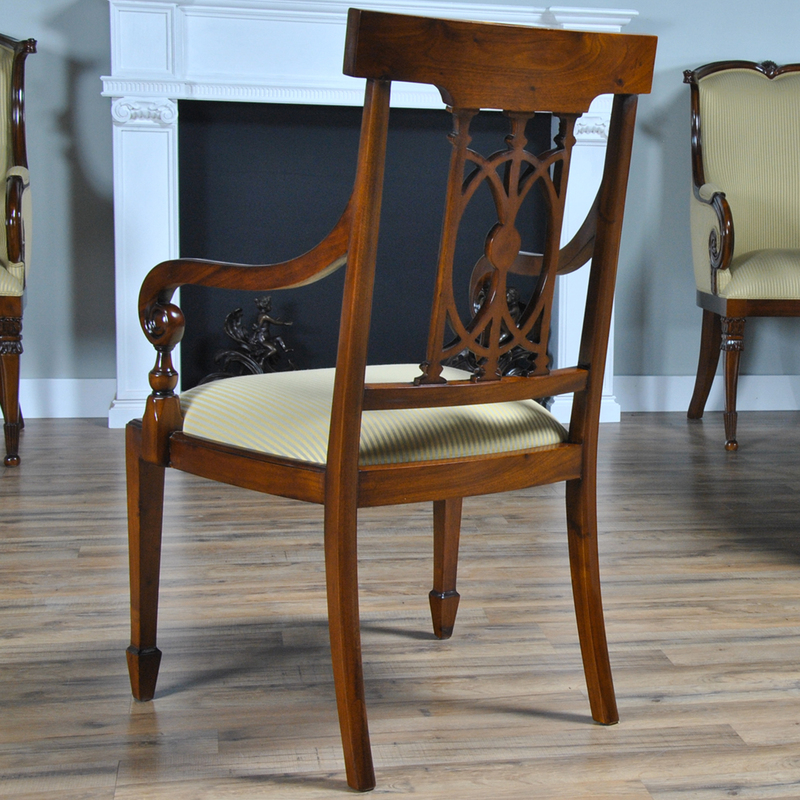 Great quality construction with details hand carved in a solid mahogany back splat. 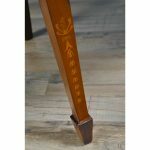 The scrolled and turned arms descend from the side rails for comfortable support while seated. 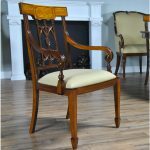 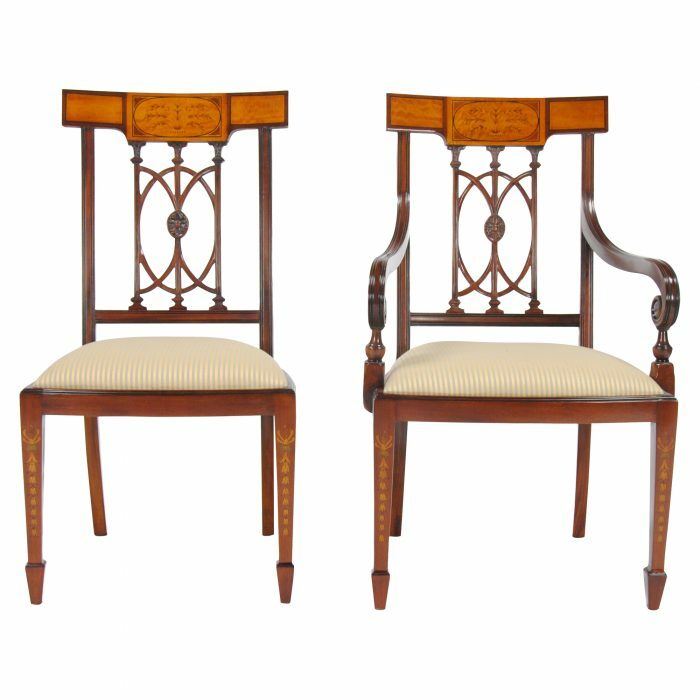 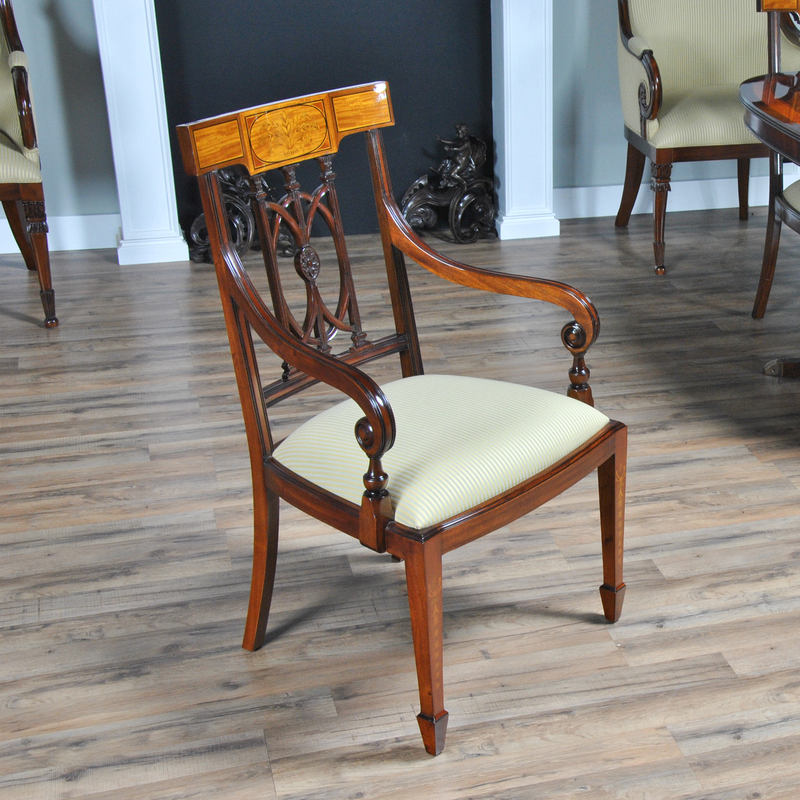 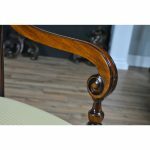 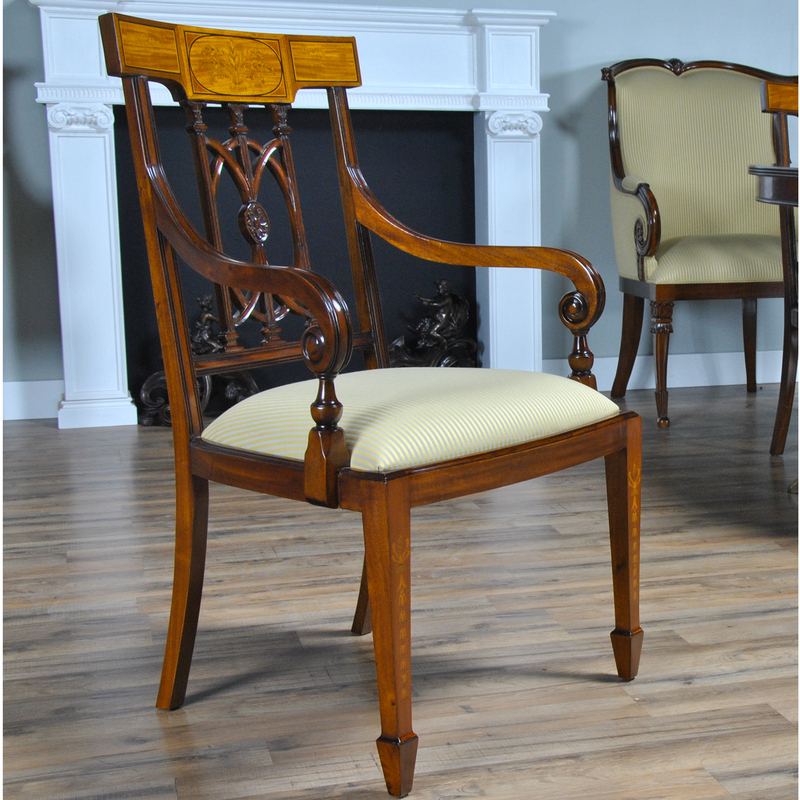 The Inlaid Hepplewhite Arm Chair features a bowed chair seat frame which allows for the upholstery to be easily changed and the square, tapering legs end in spade feet similar to the original designs created by George Hepplewhite. 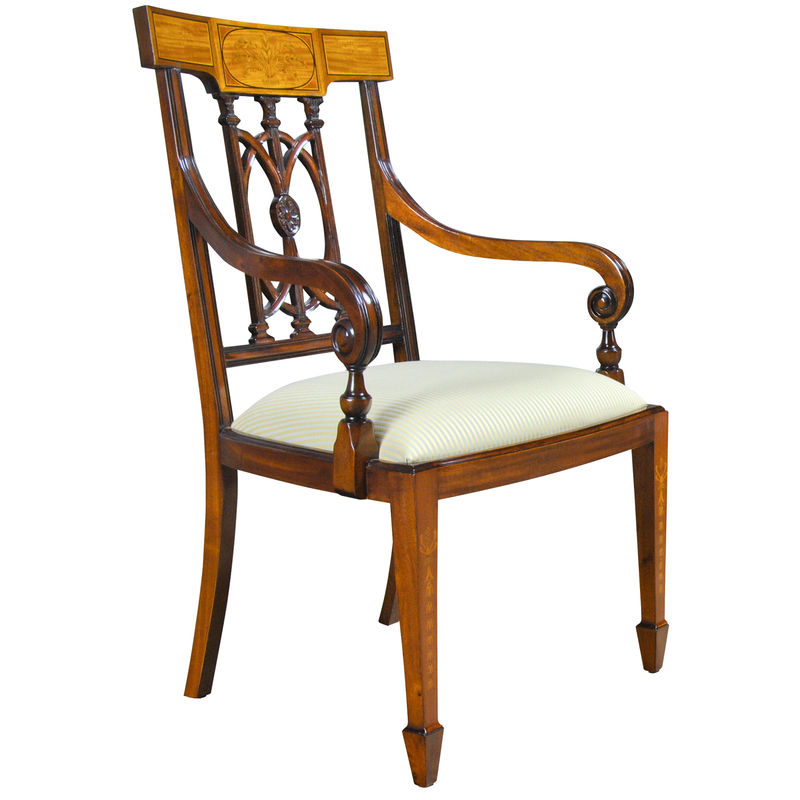 Arm Height approximately 27 inches and seat height approximately 19 inches.